Paul G. Allen, the less well-known co-founder of Microsoft and who played a key part in the personal computing revolution died last week in Seattle, 65 years old. Allen was responsible for naming the company Microsoft, as well as being the major driving force behind the company for the first 7 years of its existence. He later went on to become a serial philanthropist, investor and sports owner. Mr Allen died from complications associated with Non-Hodgkin’s Lymphoma. He had previously fought the disease and had been in remission for several years. His death comes just two weeks after he publicly revealed he was undergoing treatment for a recurrence of the lymphoma. Paul Allen and Bill Gates were were at the same high school together and later, Allen convinced Gates to drop out of Harvard University to form Microsoft. The company went on to become the world’s most valuable company during the 1990s due to succesive iterations of first MS_DOS, and later the Windows operating Systems and its Office products. 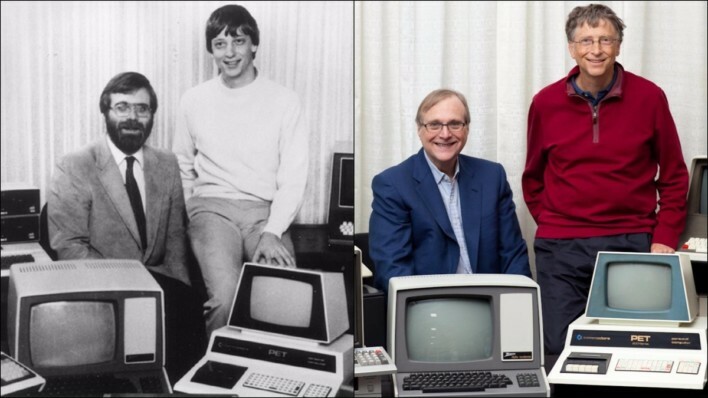 Paul Allen (left) and Bill Gates recreating a picture from the early days of Microsoft.